For many, the fun of origami projects is in the folding. 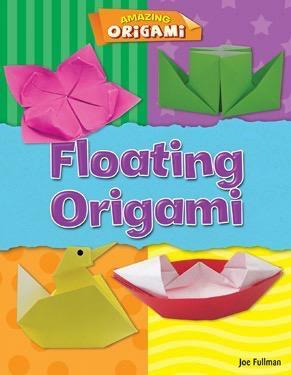 However, the crafts in this book provide tons of fun even after they're complete--they float! Use an origami canoe to carry a message to the middle of a lake, or play with a paper duck in the bathtub. Readers follow a series of steps to transform a square of paper into many cool floating origami creations, including a lotus flower. An introductory section highlights the basic folds and terms readers need to know and full-color photographs add further guidance to each step.